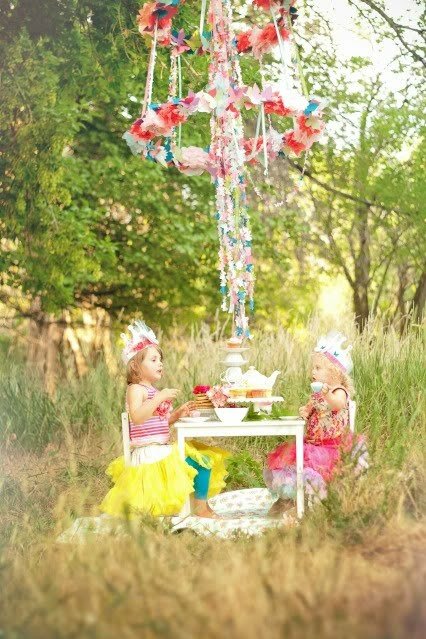 What better way to celebrate the Royal Wedding than with a delightful tea party fit for a mini-princess? I fondly remember watching Princess Diana and Prince Charles' wedding as a child with my mother. I was so enchanted by the dress, the hats, and the elegance of the day. One day, I hope that my daughters will remember this Royal Wedding with such fondness. Almost every little girl dreams about being a princess some day, just as most little boys want to be a super hero at some point in their childhood. I love these special dreams and am proud of how modern princesses (or princesses-in-training) set excellent examples for girls through their philanthropic work, values for education, and high level of involvement in their community and country. How many brides do you know besides Kate Middleton who are not requesting gifts, but rather are asking that guests donate to charitable organizations? It is because of these wonderful examples and my love of all things traditional and ceremonial, that I am going to celebrate the royal wedding on Friday with the minnies. Unfortunately, work and school for the minnies must go on, although I seriously considered the excuse I would write on their late slip for school. What do you think? Luckily, the modern technology allows us to view the wedding in style after school while we enjoy tea and snacks. Cucumber sandwiches are perfect tea food that please even the pickiest palate. Alexia loves asparagus rolls that my sweet friend Stacey, the tea queen, makes. Hopefully mine will turn out as well as hers do! 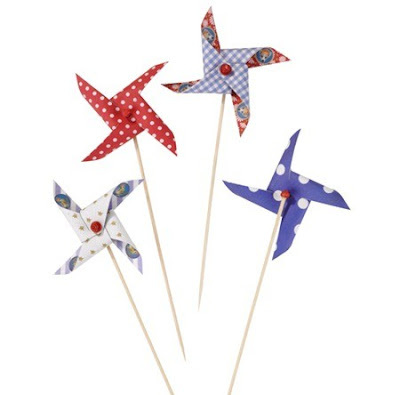 Perfect pinwheels are adorable party favors, centerpieces, or decorations for a tea party. 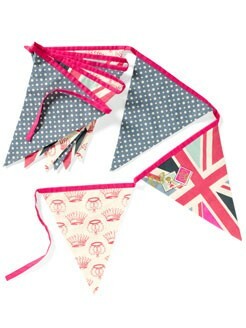 Hang sweet bunting as a back drop on the wall or along the egde of the table for added flair. 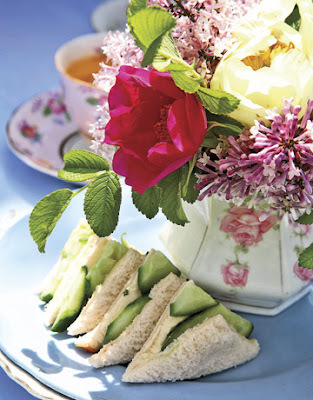 Cupcakes, cookies, and other sweet treats are the sweetest ending to a royal wedding tea party. Set up a cupcake decorating station with adorable sprinkles and treats so that children can decorate their own cupcakes. I love to get the minnies involved with hands on activities and this is a fun and easy way to have them help with the desserts. How are you going to celebrate the Royal Wedding? one of my best friends is having cupcakes sent from georgetown cupcakes and we are watching at 4 am!! How FUN. Love this post! my friend is coming over to my dorm at 3 AM and we are going to make scones and have tea while we watch.....maybe i'll try and find some sweet treats as well. however, I dont want to consume all of my calories before I even have my first class! I'll be watching the wedding live starting at 4am while eating scones and drinking tea :) Hope you have a wonderful wedding celebration with your minnies! 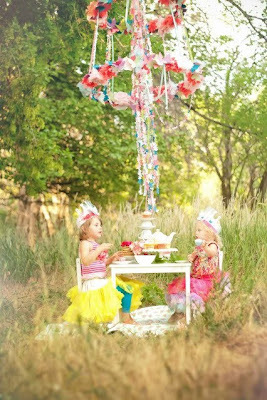 i am showing extreme restraint and having a royal watch and tea party for little ladies in waiting at 7 pm on friday! i have the buntings, royal paper dolls and coloring sheets for each girl (they are in kindergarten) and am serving the tea sandwiches and crown-shaped chicken nuggets from burger king! and i ordered a custom made wedding cake with the union jack! crazy, but fun for all of us girls! I have to be in Charleston midday on Friday so I won't be able to celebrate with everyone on Friday night. :( I do plan on waking up super early (3:30am) and watching the wedding. My only guests will be my pups... :) Facebook and Twitter will for sure be blazing with updates as well. Oh my gosh this sounds just perfect! This is going to be so fun! Wish I could be a minnie and come, hehe! I'll be there! Perhaps a Pimms for you and me instead??!! Oh this is so sweet! I love reading your posts. Your love for your children is so evident through your written words. I am so excited for the wedding and just adore your decorating/party ideas. So fun! So much fun!! 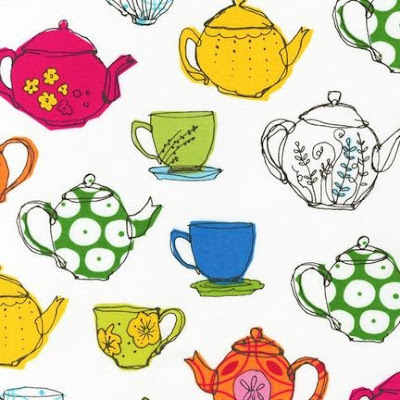 Pink Prep ~ I love the paper dolls and coloring page ideas!